Have you climbed a new route? Have you climbed a new route in an area covered by a BMC guidebook? Let us know. 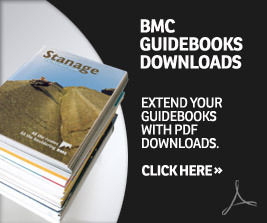 Have you climbed a new route in an area covered by a BMC guidebook? Keep them coming! The BMC Youth Open Bouldering competition last weekend was absolutely buzzing. Loads of psyche from all our young guns and loads of laughs. Here's what went down and the full results. The BMC Youth Open Bouldering Event is a great competition for all enthusiasts and will take place at Rock Over Climbing Centre in Manchester, the home of the GB Senior Squad's training wall, on 16 February 2019.